Basil's Blog: When is NSFW not NSFW? NSFW, just in case you weren't aware, means "not safe (or suitable) for work." That can mean language, images, subject matter, or other attributes that might make the content unsuitable for work environment -- or for kids. But, what when something isn't what it appears? Or, at least, not what it appears at first? Is it still NSFW? 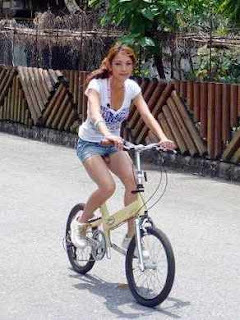 Yes, that's a bicycle seat. What did you think it was? And aren't you ashamed of yourself? It's obvious that I missed it back then. Of course, that was before I joined the 21st century. Since I started using a feed reader ... a good one ... I haven't miss a single one of your posts. Or, posts anyone else who is on my blogroll. Hey man...just jerkin' your chain. It's 9:30-something here in Central Time, and I'm is bored...pardon the goofballedness. Yep, The Google Reader is a jewel for sure. I went to it about 6 months ago, because Two Dogs made me do it. I owe him a chili dog, or something.